Measurements: 86mm long X 14mm wide or 3 3/8 inches long X 9/16 inches wide. 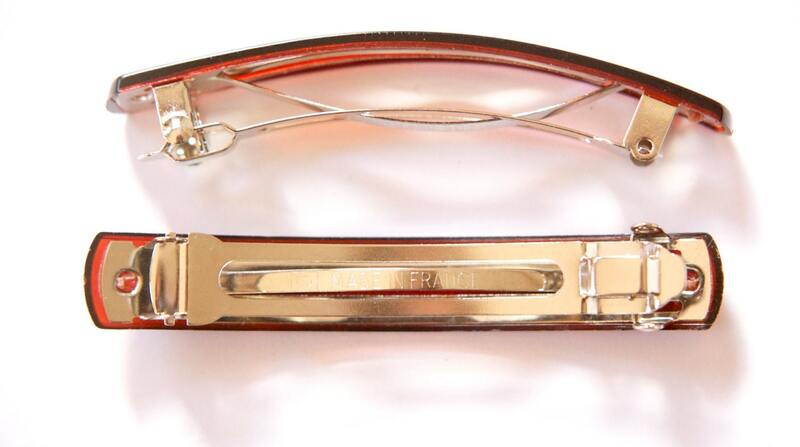 Characteristics: The metal barrette is stamped Made in France. The tortoise brown base is attached to the top. Use as is or build upon the base. Country of Origin: Made in France. Additional Information: These may be a little dusty. I'm sorry, these are very pretty but they all fell apart after a few times of use. Great vintage pieces! Thank you so much.